Alison’s first love is crochet (closely followed by her husband and children, she adds …). She has a background in marketing and sees her future in arts and craft. In fact, she hopes to combine her marketing and promotional ideas with crafty influences. After all, a creative spirit with organised thought and a few excel spreadsheets thrown in for good measure is bound to be a success. Alison is inspired by nature – flowers, the ocean, trees, seasons, birds etc – and says she is most calm in that environment. 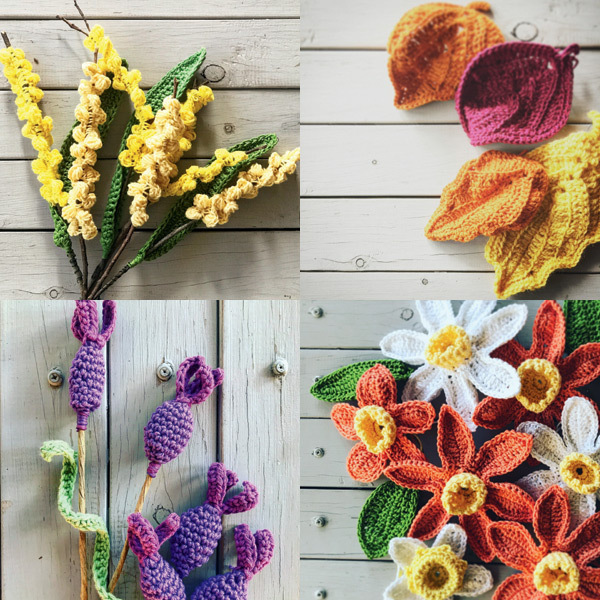 That inspiration manifests itself in crochet used as an art form, to connect nature on an emotional level through the use of texture and colour. The impact that crafting has on wellness is also in Alison’s sights. “Wellness is high on my priority list and I love the way my work connects with communities, instilling a sense of love, happiness and inner calm. I aim to create a space that people can just enjoy and forget about the rest of the mess in their lives – the unfinished work deadline, the crying bub, the money worries… to just sit for a few minutes, take a few deep breaths and enjoy the colour and where it takes you,” she says. Alison creates pieces that will not only enliven areas with colour and texture, but will also involve the community in their creation. 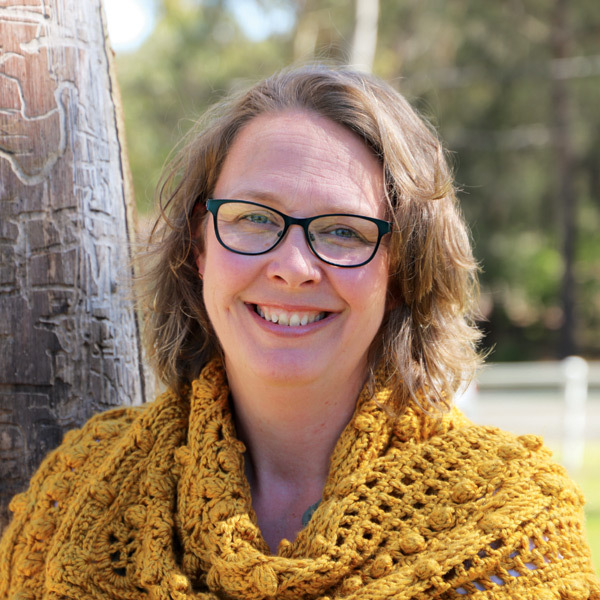 She also teaches workshops on yarn bombing, crochet flower making, crochet high tea and community craft. “I am very much about adapting workshops to suit the environment they are in. 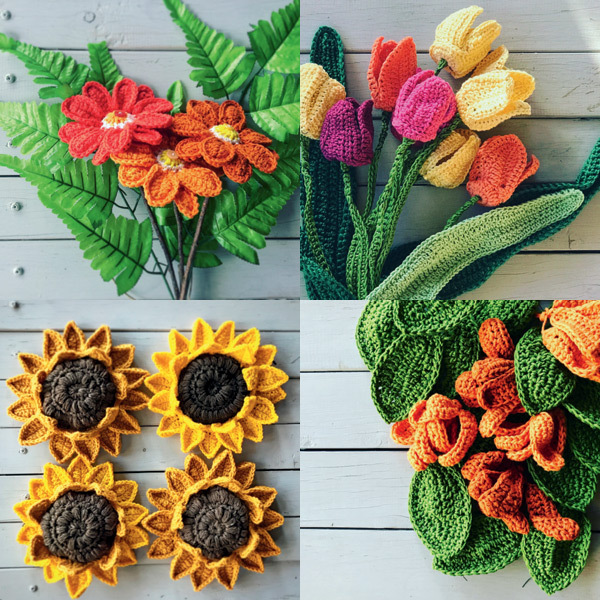 I would love to see more crochet and art-related projects in corporate environments to add colour and mindful creating in a daily working space,” she adds. Most recently Alison created A Garden of Seasons out of crochet and real plants. It is part of the annual exhibition at Eden Garden in Sydney’s Ryde. Alison says most people would know someone who can craft, knit, crochet or sew. Organising community workshops to create a mural or wallhanging that can decorate a local shopping centre or community area will provide experienced and beginner crafters with a space where they can relax and create. Make the rainbow collection bag! As a society, we can confidently say that craft has become a much more acceptable and desirable quality. The health benefits have been well documented and the visual delight that the colours bring means craft is now being seen as an art form, not just a hobby to enjoy in front of the TV.